In the 21st century, nearly all business sectors can be considered to be in a state of continuous change, but some will always be more dynamic than others. Marketing, advertising and sales are professional fields inherently required to move at the speed of technology innovation, and this is good news for prospective students concerned about their career outlook. In the United States, the marketing and sales fields typically encompass advertising and public relations as related specialities; the overall employment of these professionals from now until the year 2026 is expected to grow about 10 percent, which is higher than the average demand for all occupations. With a Bachelor of Science in Marketing and Sales from Florida National University, your resume may not only get the attention of employers but also put you in a more favorable career situation. In 2019, a marketing manager employed at a top advertising agency can make more than $120,000 per year. Even the lowest 10 percent of marketing managers can expect to earn about $48,000 per year, and the job security in this field is even more enticing. An interesting aspect of marketing and sales careers that should not be overlooked is how resilient they have been over the last two decades. By now, we have all become too familiar with the decline of newspapers and print magazines, not to mention that cord-cutting trend among members of younger generations who prefer internet streaming to cable television. There is also the matter of podcasts taking over the privileged media spot once held by radio. 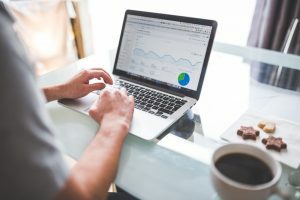 As can be expected, these matters have a significant impact on advertising, marketing and sales, and this is taken into account by the Bureau of Labor Statistics when formulating the job outlook for professionals in these fields. If anything, the downturn of traditional media channels as they transition to the internet has only resulted in an increase in promotional and sales opportunities. On the other hand, and since digital advertising dominance is just starting, certain brands are finding out that their promotional efforts on traditional media are still paying off. Marketing and sales professionals are known to adapt and roll with the punches no matter regardless of economic conditions; in fact, executives often rely on their sales force and marketing experts to keep businesses afloat during periods of downturn. The expertise of sales professionals is sought across many industries, particularly those who are skilled in using online channels to increase sales and revenue. As for marketing experts, they are increasingly being expected to take control of the customer experience, which means that they will soon be calling the shots in terms of business operations. Selling and promotion are pretty much natural aspects of life because they are based on communication, persuasion and interaction. Nearly all of us have a background in sales; think about the time you helped your family organize a garage sale and took charge of arranging items, negotiating prices and talking with buyers. As for marketing, this is something we do almost instinctively when we compose a social media update that will resonate among our followers. Smart individuals who have an interest in business will often gravitate towards marketing because they know that they can leverage their degrees into many career opportunities. Marketing and sales are business processes that aim to solve problems. A company that needs to increase leadership and visibility within specific sectors will likely resort to marketing as a strategy. 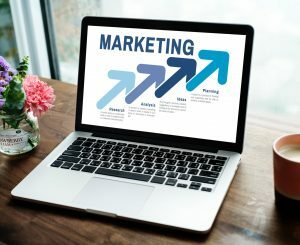 Products and services often begin at a conceptual stage that ultimately seeks to reach consumers through promotion or direct sales, and this is when marketing professionals come in. It is generally easier for marketing professionals to go into management than for other business majors to shift towards promotion. On-the-job sales training programs tend to feature low ceilings and limited career potential; marketing professionals, on the other hand, can pivot into other fields such as product management, creative advertising, public relations, writing, multi-channel analysis, merchandising, search engine optimization, and many other specialities. There are many careers that can be pursued through marketing, and the Bachelor of Science in Marketing and Sales (MKTS) offered by FNU provides an adequate foundation in this regard. If you are not sure about whether marketing is the right profession for you to pursue, feel free to contact our career counselors to learn more about the MKTS program. Of all the degree programs offered by FNU, marketing is one of the best suited for online completion. When you enroll in the MKTS program, you will have the option of completing all courses online. Working adults in South Florida do not have to worry about dealing with traffic on I-95, the Turnpike or the Palmetto Expressway just to make it to class; they can log into their FNU Blackboard account from the comfort of their homes and work towards satisfying the 120 credits graduation requirement. Since 1986, FNU has been granting college degrees to South Florida residents and international students, many of whom have chosen to get their degrees online. FNU is fully accredited to grant marketing degrees by the Southern Association of Colleges; moreover, the school is licensed by the Florida Department of Education and is approved by the state Department of Veterans Affairs. Qualified students may receive financial aid and scholarship opportunities; we even have an athletics department that has already earned a Men’s Soccer national championship. Take the first step towards a rewarding career in marketing by contacting FNU today. The choice of completing your degree online or at one of our campus locations in Miami and Hialeah is completely yours.